Vito's Minions - Contubernium XIII of Legio Darkyard. 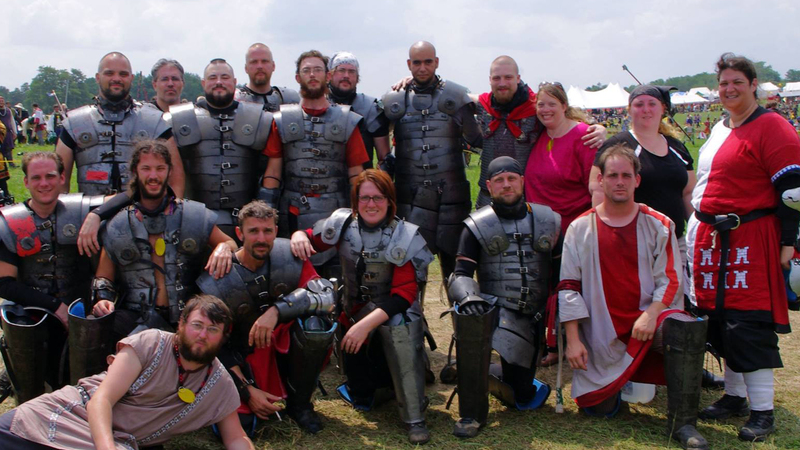 We are an SCA armored combat Roman stickfighting unit based in Cleveland, Ohio, USA, aka the Cleftlands. We fight for Vito, we fight with Darkyard, we fight for the Midrealm. We get paid like an army. We are not mercenaries. We are the only unit we know of that provides all necessary equipment to the new fighter. Furius wants everyone to know he was in the porta-john when the lower photo was taken.